Working at home has its pros and cons, just like many other things in life. For me, it is the perfect thing that I can do on my time. I can pick up work when I need it, and I can decrease my workload when I have too much on my plate. However, my day is not all glamor and glitter. Here are a few of the top misconceptions of working at home. There are many jobs that can be completed at home which do not have flexible hours. It really depends on what type of career you pursue. Even for more flexible jobs, there is also deadlines and working on the weekends. For me, I get paid for what I do, where as my husband gets paid for the hours he is at work. Both have their own benefits of course. On days that I am not feeling well or having a hard time getting out an article, I don’t get paid for my wasted time. On the flip side, if my husband were to go to work not feeling the greatest and it took him the whole day to fix one computer, he would still get paid for all of his efforts (and surprisingly get more done than some of his co-workers). I would definitely not trade in my position for a position that earns salary. I am just saying that this fact needs to be considered too. Another common misconception is that you can work at home, watch the children, and never need additional childcare. This could be true for some, but for many it is not. It depends on the type of career you pursue at home. If you are a freelancer or sell a handmade good, you can essentially make your own hours. For example, a freelance writer can work two hours before their children get up for the day, during nap time (if it is still applicable), and a few hours after their children go to bed. For those that need to be on business calls or working at a specific time during the day, it can be hard to juggle work while caring for your children. Also, some work requires more hours than the free time you have. It is realistic to expect that you will need additional help, either through paying a babysitter or preschool or by having a family member watch your child certain times during the week. These are just a few jobs that many pursue to do at home. Many others are turning their skill or profession into a successful at home business too, such as travel coordination, accounting, contract work, architect design, and more. 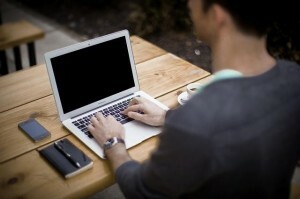 With so much of the world being online, it is easier now to do your desired work anywhere. When people find out that I work at home while taking care of my toddler, they think it is the best thing in the world. I agree that it is, but it is not for everyone. My type of work and work schedule would not mesh well with a lot of personality types or interests. Working at home is probably not for you if you have trouble spending many hours by yourself (or with just your children) and if you are not a self-starter or organized. Are you considering working at home? That is great. As long as you have a realistic view of what will be required of you each day and you are willing to adjust your schedule, you will be successful. It might take a few months to get in the right work at home groove, but it will happen eventually.